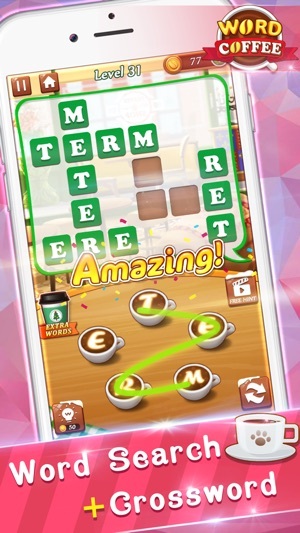 This game blends the fascination of WORD SEARCH and CROSSWORDS together! Now you can enjoy the enthralling fun of the TWO most popular classical word games at the SAME TIME! Swipe letters to build words that fit into the crosswords scheme. Simple but amazingly fun and addictive! Don't miss out on this new brain teaser in which Word Search breezily meets Crosswords! Have some spellbinding fun while you enhance your vocabulary. Just give it a shot! • Combination of Word Search and Crosswords! • 1000+ levels, much more to come! Want to play WORD SEARCH and CROSSWORDS at the SAME time? You've GOT it! 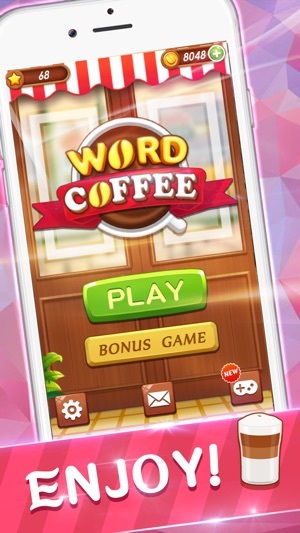 Now, enjoy a cup of freshly brewed Word Coffee that mixes the fun of Word Search and Crosswords! - Added 100 new levels! Mornings...I play this coffee game while I drink m yummy coffee!! 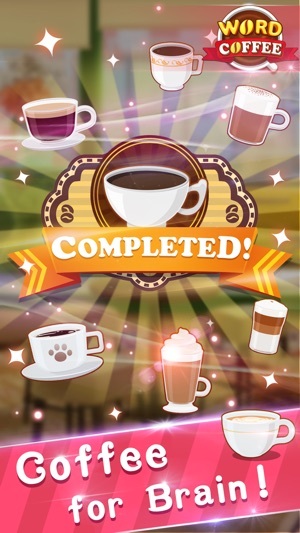 It has a cute background with coffee themed. Love Love Love this game. May I suggest few ideas? 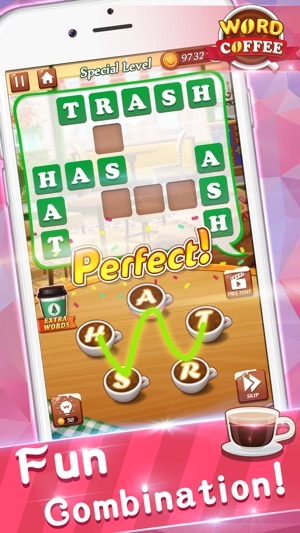 How about yummy coffee jigsaws every time we solve one level at a time or few levels? 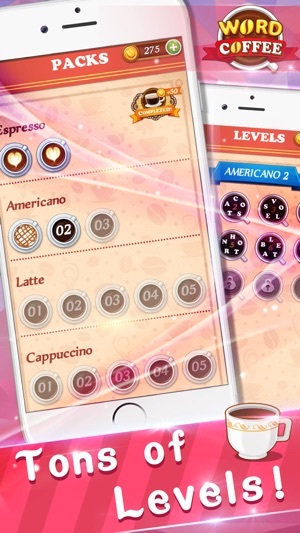 And another idea...giving out more yummy coffee beans as points after 12 levels like 100 beans or so and collect them to unlock next jigsaw pieces or as special prize for free coffee themed pics?? Thank you very much for your feedback and suggestions. We seriously value your suggestions and will implement them in future versions. Have a great YUMMY coffee day! Downloaded the game because the ad I saw had a scrolling word search and you had to find as many words as you can. Started to play and realized it’s just like EVERY OTHER word game and you just connect letters to make words. No scrolling word search in site. Deleting. I already have like 20 of this SAME GAME. All these word games are similar but I enjoy playing them.